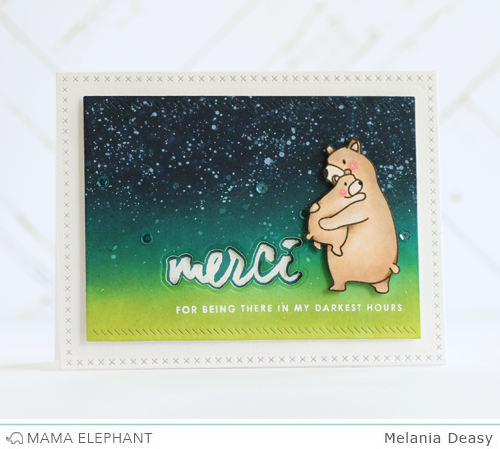 Welcome back to our final day of Stamp Highlights with Heartfelt Wishes! Deasy used the bear image from Bear Hugs and the sentiment from Heartfelt Wishes which is perfect match for this lovely night scene. Debby whipped up a very cute tag using Playful Pups and the thanks sentiment from Heartfelt Wishes! Elena stamped and die-cut the french thank you greeting, and popped it into the wreath from Charmed. It makes a beautiful focal point! 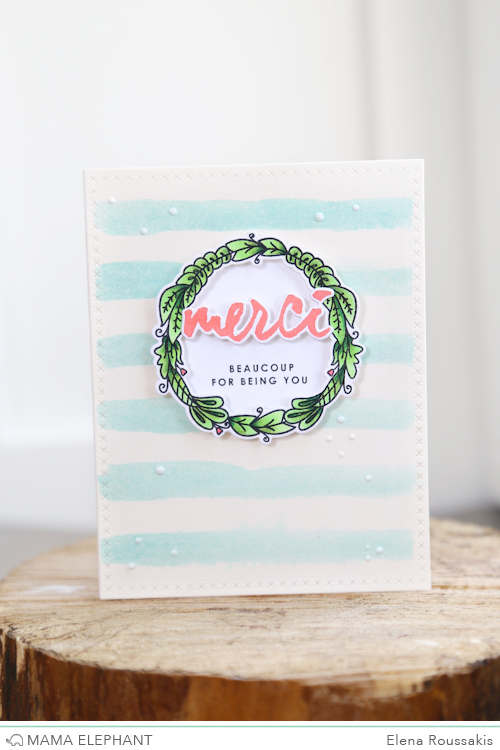 The background stripes were softly watercolored, using a classic stripe cover plate die cut as a stencil. 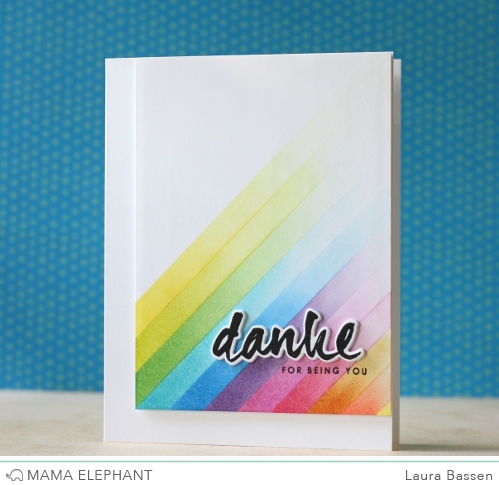 Laura used her masking & ink blending super powers to create this colorful background for the Heartfelt Wishes sentiment. Nichol stamped greetings from Heartfelt Wishes on watercolor cardstock and used a embossed resist technique with Distress Inks for a colorful watercolored background. She layered a stamped a die cut greeting on top of Freestyle Florals to really make the design pop. 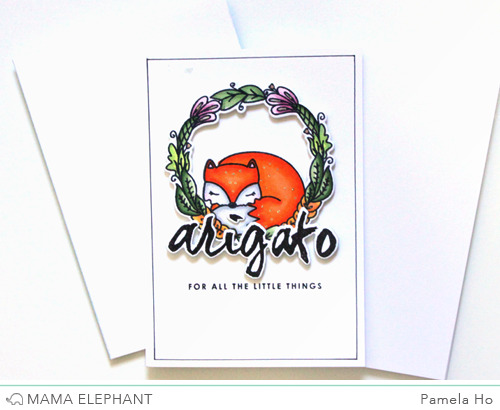 Pamela combined the Japanese sentiment with the wreath and fox from Charmed for a simple but elegant thank you card. Vera made very sweet treats to say thank you! The momma bear carrying her cub is sweet. The puppy looks like Bear. The bear hugs are adorable! I love these cards!Thank you for sharing. What lovely creations! Each is so different but oh so beautiful!! I love all the cards but the mama and baby bear are the best. I love how she is holding her baby. Nice job everyone!